EMSB PRESENTS BILL 86 BRIEF: The EMSB presented its brief on proposed Bill 86: An Act to modify the organization and governance of school boards at Parliamentary hearings in Quebec City on March 22. If passed, the Bill will restructure the province’s school boards by limiting the public’s right to vote for school board commissioners. You can view the entire presentation here. The EMSB strongly opposes the proposed legislation. Chairman Angela Mancini, Vice-Chair Sylvia Lo Bianco and Commissioner Joe Ortona made the formal presentation. They called upon the government to withdraw draft Bill 86 and return to the drawing board by consulting with stakeholders across the public education sector to develop a democratic and legally-sound solution to encourage greater community participation in the management of Quebec’s school system. Education Minister Sebastien Proulx thanks EMSB delegation. The EMSB is recommending that democratically-elected school boards be maintained to safeguard the anglophone minority community’s constitutional rights to manage and control its schools. Parent Commissioners should be legally vested with all of the rights, responsibilities and duties of commissioners elected through universal suffrage, including the right to vote. Furthermore, the EMSB recommends that school board elections be opened to online and mail-in ballots, in addition to polling stations, to facilitate voter participation in the democratic process. These elections should be held concurrently with municipal elections to facilitate the potential for voters to exercise their constitutional rights. Joe Ortona, the PQ's Alexandre Cloutier, Angela Mancini and Sylvia Lo Bianco. Ms. Mancini has already welcomed newly appointed Education Minister Sébastien Proulx, and wished him well in his new duties. “His arrival in this portfolio comes at a critical time for the future of the public education system in Quebec,” she said. 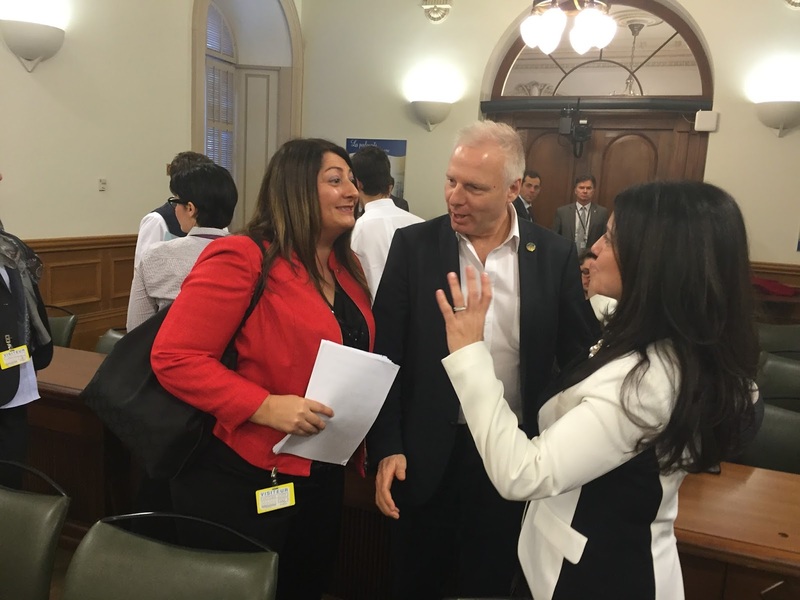 Sylvia Lo Bianco talks to the PQ's Jean-François Lisée and Filomena Rotiroti of the Liberals. 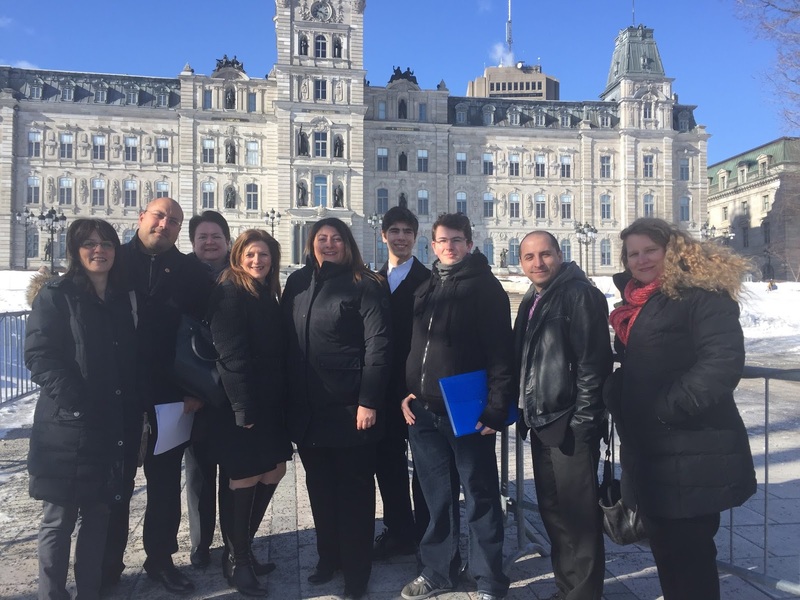 The EMSB delegation to the National Assembly was backed by a number of supporters coming up from Montreal, including parent commissioner Joanne Charron,regional parent representative Serena Cappelletti, two Secondary V students from the EMSB’s Student Advisory Council - James Peterson from Lester B. Pearson High School and Jacob Gentile-Cunha from Royal Vale School- accompanied by their supervisor, LBPHS teacher Paul Karpontinis. PROVINCIAL BUDGET: The EMSB has reacted to the tabling of a new budget by the Quebec government, which includes a long awaited investment in the education system. Rita De Santis and students. MEETING WITH MINISTER: Lester B. Pearson High School’s Student Council had the opportunity of holding a private audience with their local MNA for Bourassa/Sauve and Minister Responsible for Access to Information and the Reform of Democratic Institutions, Rita De Santis, on March 7. Ms. De Santis headed a round table discussion involving the members of the Student Council Executive on democratic institutions in our province and the significance of Student Leadership in our community, but also in their personal growth. Members of Student Council were able to address issues that they felt were important in our schools, asked Ms De Santis questions about her role in our government and finally they were able to express their concerns over the proposed Bill 86 legislation. A united front of students. BRIDGE BUILDING: On February 25 and 26, students from Lester B. Pearson High School's Student Council and Fair Haven Union High School Vermont participated in the third annual bridge-building activities. On February 25, members of the two schools held a crash course on bonding. This was accomplished through student-led icebreakers, a large group lunch and experiential activities. On February 26, students from both schools toured St-Joseph’s Oratory, the Montreal Museum of Contemporary Art and ended the day with lunch and ice skating at the Atrium 1000. This annual tradition allows students to have meaningful conversations with those who may have different life-experiences. Over the last three years, LBPHS students have solidified their bonds through social media and maintained friendships over long distances. 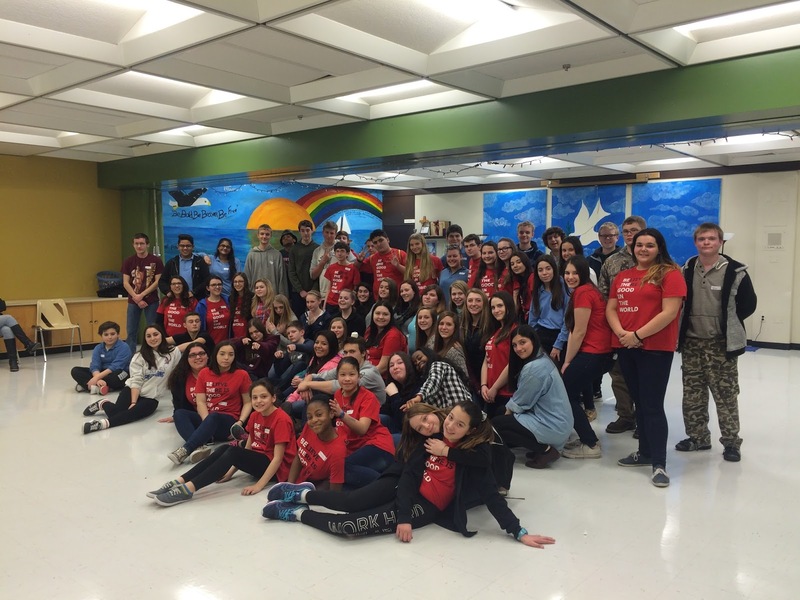 EMPATHY DAY: Lester B. Pearson High School recently marked its second annual empathy day, a student council organized program that fosters compassion and acceptance amongst students. This day was devised, planned and implemented by members of student council throughout all five levels. It began when students entered the building to find positive messages written on post-it notes left on their lockers. During recess, students were offered free hugs and lollipops in the plaza area to all students who were interested. Finally, we engaged students in secondary four with a short assembly and four experiential activities in personal reflection, empathy, privilege and bullying. It is the school’s hope that this tradition will nurture a greater sense of belonging and understanding throughout the school environment and that this positive gesture will result in students feeling more welcomed at LBPHS and treat each other with a bit more kindness and compassion. SCRIVIAMO IN ITALIANO: The students of Lester B. Pearson High School have for the past several years been given the option to take Italian class in Secondary IV and V. This year students enrolled in the Italian courses have a wonderful opportunity to display their written work in the Corriere Italiano newspaper. Through the end of June, students will have featured poem, a composition, or a blurb about something that they are working on in class. As well the newspaper will award a $500 gift card to one lucky student to help purchase books and school supplies next year for CEGEP and the opportunity to intern at the newspaper for one week. This partnership gives the students a voice in the Italian community and encourages them to find new paths that they may wish to discover. OPENING OF SSD ROOM: Last week Lester B. Pearson High School celebrated the grand opening and unveiling of the new Student Support Department (SSD) room.The purpose is to offer a safe space for students to regain balance and refocus. This is an initiative that was taken by the Child Care Worker and Behavioural Technician team. The room will be used to conduct workshops developed by the team on topics such as dealing with anxiety, anger management, conflict resolution, time management, etc. Mindfulness techniques will be taught to help students deal with the performance anxiety they often suffer from. Lester B. Pearson High School is proud of this initiative that embraces diversity, equity and success for all. SCIENCE FAIR WINNERS: Students from Marymount Academy International in NDG and Royal West Academy in Montreal West captured a total of 14 awards at the 34th Hydro Quebec Montreal Regional Science and Technology Fair, at the closing awards ceremony that took place on March 15 at the Oscar Peterson Concert Hall of Concordia University. Carl Miller and Thomas Giacobbe of Royal West Academy accept their Junior Division gold medal. The ceremony concluded the three-day fair, which took place from March 13-15 on the ground floor atrium of Concordia’s Computer Science and Visual Arts Integrated Complex in downtown Montreal, and was organized by the Educational Alliance for Science and Technology (EAST). Marymount and Royal West were represented by 11 booths at the Fair that dealt with scientific and technological experimentation, design or study, and tackled a wide range of topics such as how to create an edible water bottle, alternative means of home insulation, and earthquake-resistant building structures. Cash and scholarship prizes, totalling $12,800 and $15,000 respectively, were handed out to the winning student participants. Awards were given out for the following EMSB projects at the Science & Technology Fair: Lean Hamwi of Marymount Academy International won the John Abbott College Science Prize for her project “Can I Cook in Peace?,” which deals with a new way for smoke alarms to work to avoid unnecessary false alarms; Gabrielle Goldman of Royal West Academy won the Vanier College Science Award for her project “All Roads LEED to Home,” which is about creating sustainable, affordable housing in South Africa according to the standards set by the Leadership in Energy and Environmental Design (LEED) organization; Lia Loebenberg of Royal West won the McGill University School of Dietetics and Human Nutrition Award for her project “Breaking Down,” which is about how temperature and radiation affect enzymes; Jude Victoria of Royal West picked up two awards – the McGill University Biology Award and the McGill University Faculty of Medicine Award - for his project “Does Size Matter?,” which focused on protein mutations; Matthew Ciarleli and Janvi Patel of Royal West won the Concordia University Award for Outstanding Achievement in Mechanical and Industrial Engineering for their project “Resist the ‘Quake,” which offered several alternative building structures that are earthquake resistant; Carl Miller and Thomas Giacobbe of Royal West won the McGill University Faculty of Agricultural and Environmental Sciences Award, and the Gold Medal in the Junior Division, for their project “The Green Wall,” which offered two eco-friendly means of home insulation, which were sawdust and cotton balls; Jaan Van Der Wee and Sean Giacobbe of Royal West aptured three awards – the Concordia University Faculty of Arts and Sciences Entrance Bursary, the Fondation ALCOA Award, and the Silver Medal in the Senior Division – for their project “The Root of Ethanol Production,” which explained the connection between growing root vegetables and the production of ethanol. Jaad Van Der Wee (left) and Sean Giacobbe of Royal West Academy with their project "The Root of Ethanol Production. Also, the projects “Does Size Matter?,” “The Root of Ethanol Production,” and “The Green Wall” each won the Super expo-sciences Hydro Quebec (SESHQ) Experimentation and Design Award, which gives them the right to compete at this year’s Quebec finals of the Super expo-sciences Hydro Quebec. That will take place from April 22-24 in Sorel-Tracy. 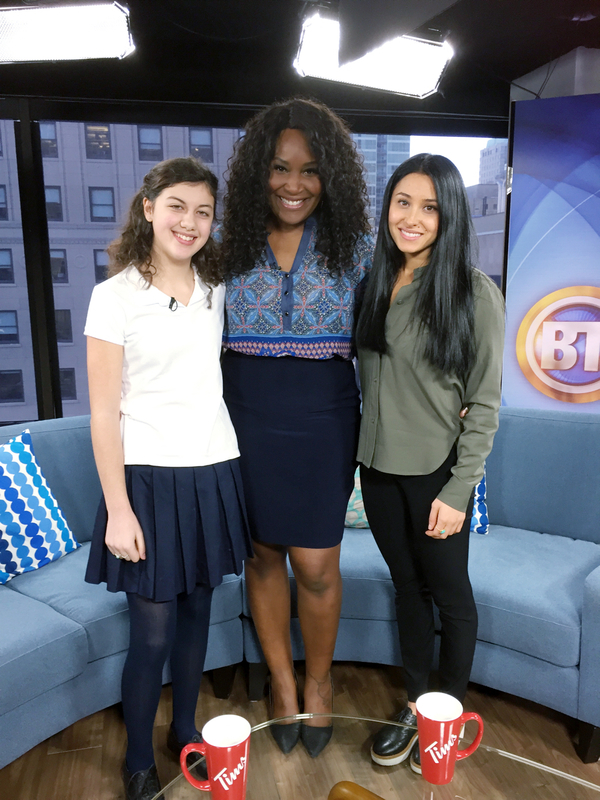 Winners will go on to the 55th annual Canada Wide Science Festival, which will take place from May 18-20 at McGill University. Lean Hamwi of Marymount Academy International with her project "Can I Cook in Peace?" See our photo album of pictures. Nathan Villa with his mom Gabriella, Sylvia Lo Bianco, Joanne Charron, Anna Villalta and John Wright. VOLUNTEER NIGHT: The EMSB will hold its annual Volunteer Appreciation Evening on Tuesday, April 12 at the Centre Renaissance (7550 Boulevard Henri Bourassa East) in Anjou. 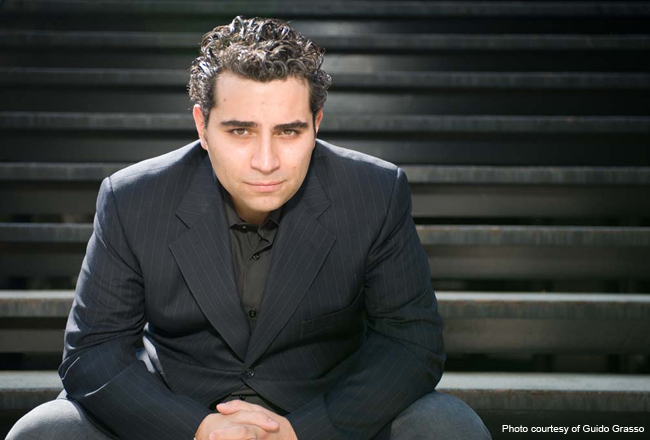 This year’s event is being held to commemorate National Volunteer Week, which runs from April 11 to 15, under the theme of “Leading By Example.” Montreal comedian Guido Grasso will perform a short set, courtesy of Ralph Buttino of VMG Entertainment. VMG produces the popular Bad Boyz of Comedy series. Buttino is a graduate of Laurier Macdonald High School. Time and space do not allow the EMSB to honour all of its nearly 1,500 volunteers in person. Therefore, only those individuals who have volunteered for more than five years will attend the reception, representing some 500 people. However, several thousand copies of a commemorative program book will be distributed to each school. The emcees for the evening will be Global News senior anchor Jamie Orchard and EMSB Communications and Marketing Specialist Michael Cohen. COOK FOR A CURE: Students from three EMSB schools -Rosemount High School and Nesbitt Elementary School in Rosemount and Gerald McShane Elementary School in Montreal North - are joining forces in the second annual Cook for a Cure to raise money and awareness for the Alzheimer’s Society of Montreal. 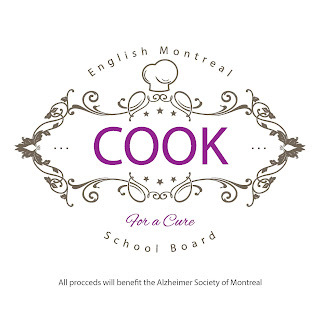 Last year, Cook for a Cure raised $10,000 for the Alzheimer’s Society of Montreal. As a result of the project’s incredible success, the initiative has grown into a two-part inter-generational project. Initially, students will be delving into their family’s history and contribute to a recipe book that will highlight their past through a signature family dish. The official launch of the book will take place on Wednesday, April 13 (7 pm) at the Leonardo Da Vinci Centre (8370 Boulevard Lacordaire) in St. Léonard. 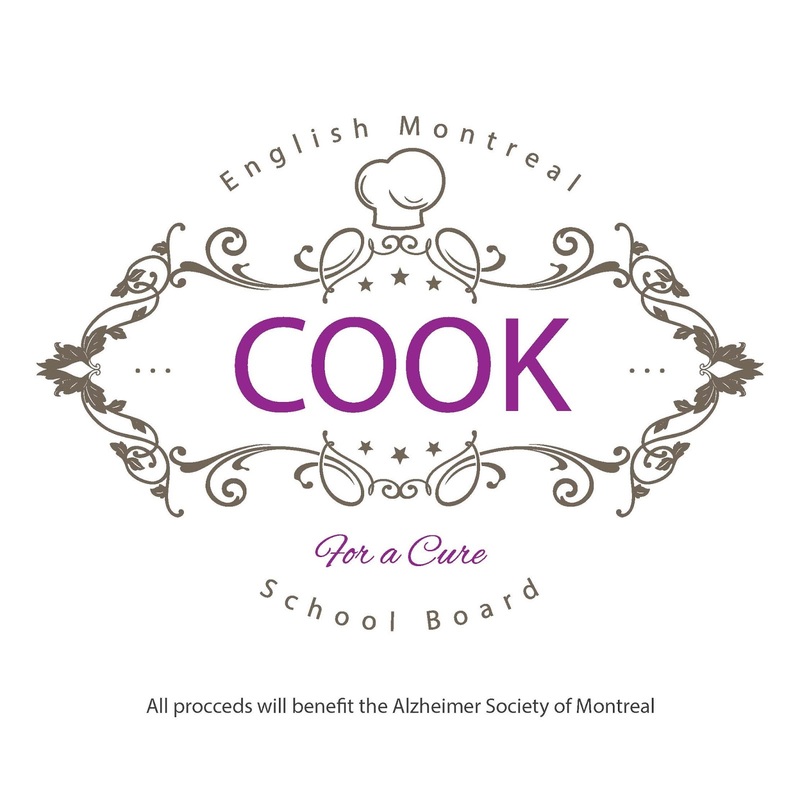 Following the book launch, students will be recreating their family’s signature dish at the Cook for a Cure gala, set to take place on Wednesday, May 11 (6 pm) at Plaza Antique (6086 Sherbrooke East) in Hochelaga-Maisonneuve. In addition to tasting over 60 family recipes, guests in attendance at the gala will be treated to a sit-down meal. The highlight of the evening will be the presence of a number of celebrity chefs including Sergio Mattoscio, from Industrial and Top Chef Canada; Joe Mercuri from Restaurant Mercuri and Michele Forgione, owner of Impasto and Gema, whom will judge the 60 dishes and name one as the evening’s best. The entire project was organized by Vince Lacroce, Spiritual and Community Animator, with the cooperation of Pat Buttino, Cultural Director of the Leonardo Da Vinci Centre; Giulio Di Minno and Fabio Ianero, owners of Plaza Antique (Plaza PMG Group); Nick De Palma, Owner of Inferno; David Fuoco, owner of Les Delices Rosa; Cristina Muccardi, owner of Cook and Date; Sabrina Mazza, representative Alzheimer's Society of Montreal; Marco Gagliardi, Principal of Rosemount High School; Christina Chilelli, Principal of Gerald McShane; and Antoinette Scrocca, Interim Principal of Nesbitt School. For more information on the project and the Cook for a Cure gala, please visit: www.cookforacure.wordpress.com. 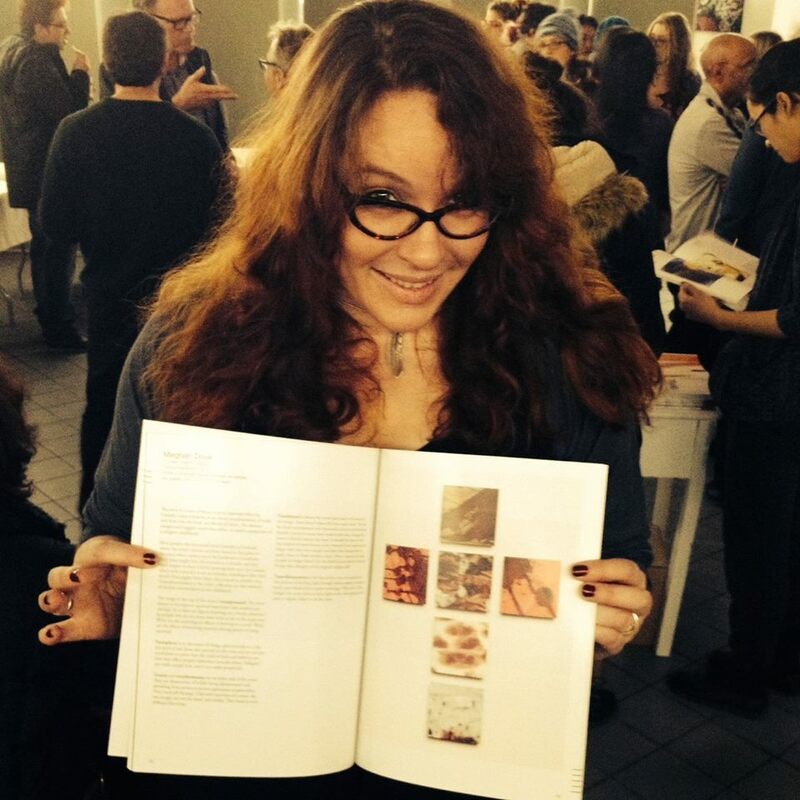 BREAD FESTIVAL: Imagine a gymnasium filled with the hum of busy bodies chatting excitedly. Friends calling out to each other, “look, I found pita bread in Africa” over the heads of parents bonding with their children in a new type of learning experience. This was the scene at Pierre Elliot Trudeau Elementary School's first International Bread Festival on March 17. The festival, taking place in the context of a larger multicultural week, celebrated the diversity and uniqueness of a community rich in heritage, tradition and culture. Students were asked to bring in a sweet or savoury loaf of bread that represented their cultural background and then were invited to sample the “breads of the world.” The open afternoon saw parents, grandparents, and children of the community coming together to explore and celebrate the diversity of PET. In all, seven continents were represented, exposing students to new flavours and ingredients; allowing them to ask questions and experience, first hand, a trip around the world. For many, this was an opportunity to try something different and learn about their friends’ very special customs. One student said of a steamed Chinese flower bun, “If it weren’t for this, I don’t think I would have ever of eaten those breads in my life. I wouldn’t have the chance.” Leftover bread was donated to a local shelter, a great way to give back to the community we celebrated on this day. In addition to the Festival, students have been learning how bread is a staple in most countries and unites many different cultures across the world. They have been learning about yeast and making bread in Science class, polling and graphing our students’ origins for Math as well as keeping a traveller’s “passport” of their learning in Social Studies. The week will be wrapped up with a play tackling the importance of acceptance and standing up to prejudice. Overall, the week has been a great success for the staff, students and family of PET who have taken home the important message of accepting others, being tolerant and celebrating who we are. We would like to thank all the students and parents who participated as well as the volunteers for their hard work in helping bring everything together for this special event. Jessica Muha, Massimo Vatistas, Alexandra Paquette and Charlotte Ouimet are congratulated by EMSB officials. ROBERT PECK AWARD: The winners of the Robert Alfred Peck Prize for Excellence in French were announced at the March EMSB Council of Commissioners meeting. This year’s recipients were Auryane D’Or from Rosemount High School and Jessica Muha, Charlotte Ouimet, Alexandra Paquette, Ashley Saad and Massimo Vatistas from Royal West Academy in Montreal West. They each received a medal and $15. Last year they achieved marks of 100 percent in Secondary V French 634 594 Mr. Peck, served as the superintendent of French for the Ministry of Education and held similar posts with the former Westmount School Board and the former Protestant School Board of Greater Montreal. He was a department head for French at Lachine High School and vice-principal of Riverdale High School on the West Island. He completed his career as a teacher in Africa and co-authored Le Français Pratique, the textbook for the teaching of French as a second language with Elizabeth Buchanan. This textbook was a mainstay in Quebec Protestant English schools for over 20 years. PERRON RECOGNIZED: Marylene Perron, the principal of the EMSB's Parkdale Elementary School in St. Laurent, was the only Quebecer to have been selected as one of The Learning Partnership’s Canada’s Outstanding Principals™, The program recognizes the unique and vital contributions of principals in publicly funded schools. This year, 40 principals representing every province and territory were chosen by a national selection committee on the basis of their exceptional contributions to their respective schools and communities. Ms. Perron received her award at the annual Outstanding Principals Gala on February 23 at the Westin Harbour Castle Hotel in Toronto. The winners also benefit from an exclusive five-day executive leadership training program at one of Canada’s top business schools, the University of Toronto’s Rotman School of Management. The program will introduce them to leadership and management practices presented by business, government and education leaders as well as Rotman instructors. They also benefit from a “Changing World of Work” day where they learn about today’s workforce from business leaders. She was recognized at the March 23 EMSB Council of Commissioners meeting. PARKDALE'S NUTRITION PATH: Parkdale Elementary School in St. Laurent has launched a school-wide nutrition initiative thanks to grants from the National Bank of Canada and the Metro Green Apple School Program, as well as a partnership with Maxi et Cie. St-Laurent. Two projects have launched this month. "Qu’est-ce qu’on mange?" is a project on health and well-being through social entrepreneurship and community engagement. This project will teach students how to plan for, and make simple, healthy meals for themselves, while learning and practicing the French language. Department managers from Maxi et Cie. St-Laurent have volunteered to host workshops on the different aspects of planning for, cooking, and packaging meals. The food the students create will be distributed to the community, to help families in need. 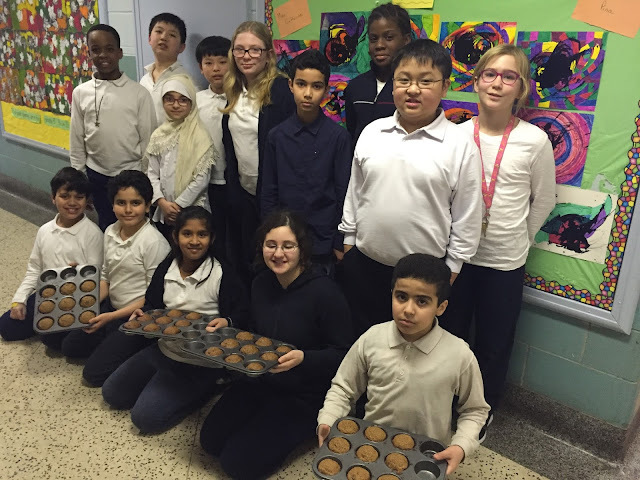 Parkdale students showcase their healthy muffins. 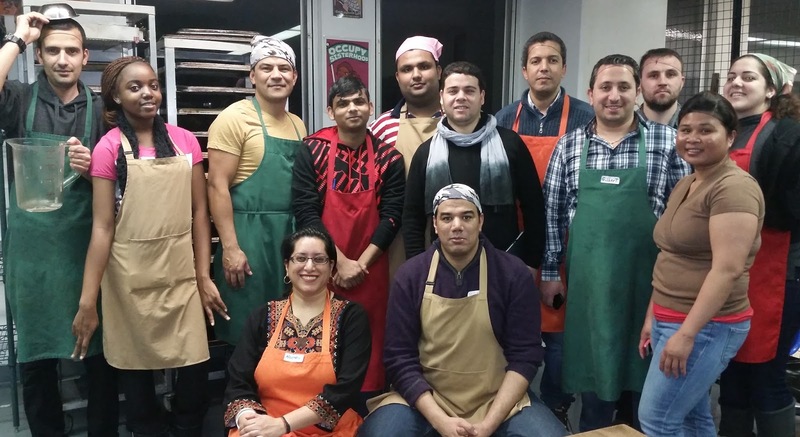 In the Cultural Cooking Collective project, students in every grade are inviting parents, community partners, and special guests to teach them how to cook food from different countries that reflect the cultural richness of our diverse school population. Kindergarten students are learning about fruits and vegetables from exotic locations, while students in Grade 1 are cooking rice dishes from all around the world. Grade 3 students are shopping for, and cooking several traditional first nations recipes, to compliment the “Univers Social” curriculum. Be sure to follow the school's twitter feed (@ParkdaleEMSB) and the CLC feed (@ParkdaleCLC). NUTRITION MONTH: To highlight the EMSB 2016 Nutrition Month Campaign, High School students have been invited to take the 10 Plate Challenge: Small Changes, One Plate at a Time! The objective is to help high school students identify areas of their eating habits that require change and develop strategies to improve food choices, improve lifestyle habits and increase their nutritional knowledge! Students were asked to submit a one minute video describing which Plate Challenge they have chosen and how they will meet their challenge. For more information ask the school’s Physical Education and Health Teacher or go to: www.emsb.qc.ca/cafeteria-caf. EMSB AND THE IMPACT: For the 11th year in a row, the EMSB is pleased to announce the continuation of a partnership with the Montreal Impact soccer team through its “All the Way with the Impact” program. Over the next few months, members of the Impact will be visiting schools to remind young students of the importance of studying, persevering and building self-confidence in order to succeed. The traditional “EMSB Night will take place on Wednesday evening, June 8 at Saputo Stadium as part of the Amway Canadian Championship, which involves the top five professional clubs in Canada, in the race to qualify for the CONCACAF Champions League. That is an international competition between professional clubs from North America, Central America and the Caribbean. Tickets, which are usually $20 each, are priced for EMSB families at a discounted $13 each. Some of the proceeds from ticket sales will go towards Inspirations, a publication dedicated to the special needs community. We will accept orders on a first-come, first-serve basis from the schools and there is an option to purchase tickets safely and securely via credit card. To do so online, please visit www.emsb.qc.ca/impact. Two students will also win $500 Tony Licursi Scholarships. See the video from last year’s game. CORONATION`S HABS EXPERIENCE: A lucky group of 16 Grade 5 students from Coronation Elementary School in Côte des Neiges, along with teachers Brigitte Boulos and Peter Tsinas, got to attend a Montreal Canadiens practice on Friday, March 11 at the Complexe sportif Bell in Brossard. This was all part of the Canadiens@school program. Phillip Danault and Mike Condon of the Montreal Canadiens join Coronation students and staff. The school entered a contest called the Concours du Grand Prix to be eligible for this exciting opportunity. On this day, the Canadiens had a dryland training session on an indoor soccer field. When that practice was complete, the students were invited to meet goalie Mike Condon, defenceman Mark Barbierio and forwards Sven Andrighetto and Phillip Danault. The players split the group into two and took part in a 15 minute soccer scrimmage.Condon spoke to the students about the importance of staying in school. He graduated from Princeton University, where he majored in politics. Barbiero grew up in the West Island community of Kirkland and attended the Lester B. Pearson School Board. He said it is always fun to meet young hockey fans, noting that during his student days he never had such an opportunity to meet members of the Habs. The Canadiens@school program is a free hockey themed curriculum resource for students in Grades 1 to 9. There are almost 300 lesson plans available on the website site, developed specifically to meet components of the Ministry of Education curriculum. The program also provides opportunities to receive monthly recognition awards and win great Canadiens prizes. Coronation arts teacher Valerie Chiniara submitted drawings of goalie masks by her students as a winning entry. She was unable to attend the practice. See our video. 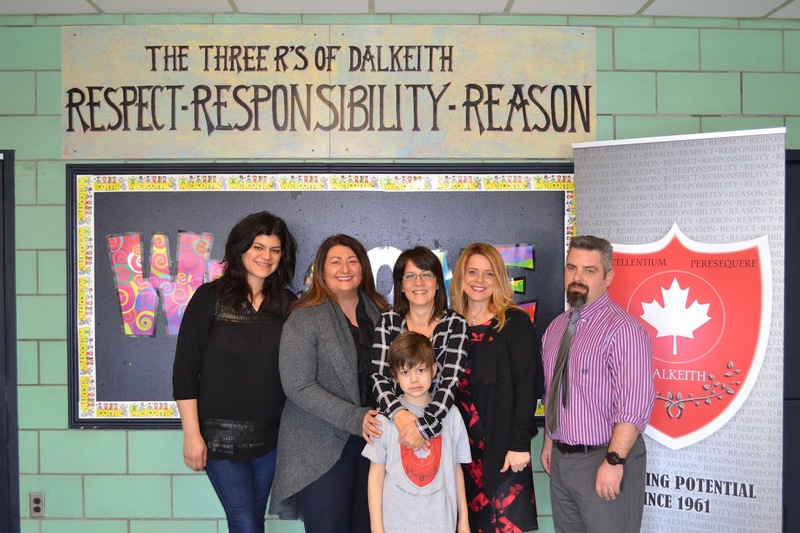 LITERACY INITIATIVE: The January 22 press conference held at Dante Elementary School to promote the EMSB Literacy Initiative is still gaining a lot of traction in the media. A recent episode of the highly rated program 24CH followed the wives of Carey Price (Angela), Brian Flynn (Alyssa) and Tom Gilbert (Larissa) as they took part in the press event and read books to the children. Here is the English version broadcast on CTV and the French version. 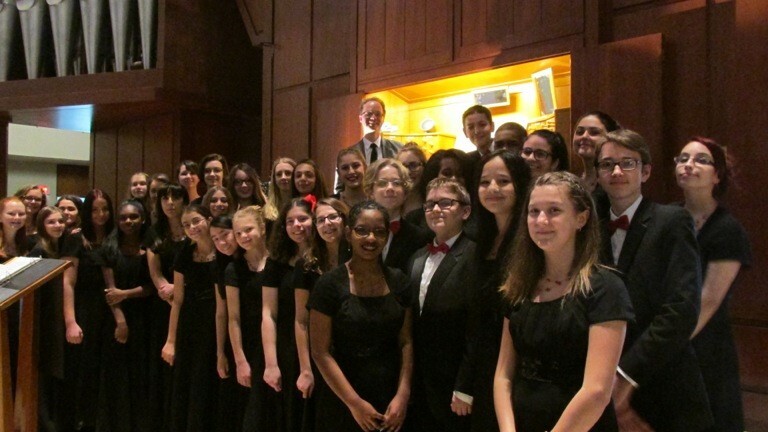 A happy group of Chorale singers. THE CHORALE: After participating in an Earth Hour concert on March 19 at Christ Church, the EMSB Chorale were in concert at St. Joseph´s Oratory the following day as part of its concert series, with guest organist Jonathan Oldengarm (Music Director, Church of St. Andrew and St. Paul). For complete details click here. Jean-François Lisée joins officials at the ribbon cutting. 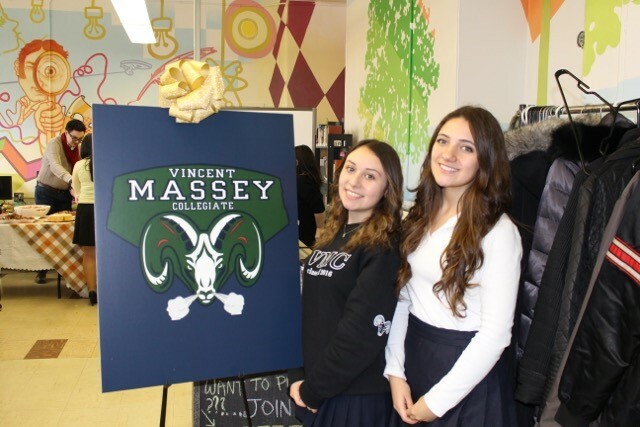 VINCENT MASSEY GYM: The EMSB celebrated the long-awaited opening of a new double gymnasium and four additional classes at Vincent Massey Collegiate in Rosemount on March 18. Hundreds of elementary school students were on hand for a special soccer play day. In the spring of 2012, the Quebec Ministry of Education announced funding in the amount of $4.3 million for Vincent Massey. EMSB Chairman Angela Mancini and Vice-Chairman Sylvia Lo Bianco worked diligently on this dossier for well over a year. Vincent Massey is an Article 240 special status school, with an enriched and structured CEGEP preparatory program. It has a student population of 814 in a building which was designed to accommodate 725 when it was constructed in 1959. The capacity is now 834. Student hosts at the reception. A number of special guests were on hand to take part in a celebrity shootout, with soccer balls donated by Evangelista Sports. Thanks to Groupe Sportscene, the owners of La Cage Brasserie Sportive and P.F. Chang`s and Interbox, guests included professional boxers Yves Junior Ulysse and from Eye of the Tiger Management Dierry Jean as well as Parti Québecois MNA for Rosemount Jean-Francois Lisée. Vincent Massey graduate and present-day CTV News co-anchor Paul Karwatsky was the master of ceremonies. Jean-François Lisée takes a shot. PINK SHIRT DAY: Vincent Massey Collegiate has been celebrating its own version of Pink Shirt Day for the past four years. Each year, the school creates a video to express enthusiasm for promoting kindness. This year’s theme was "VMC’s PINK!” VMC officially celebrated on February 19 and they were honoured to have guest speaker Aiesha Robinson. The day also featured their annual video and flash mob performance from the VMC Glee team, notes contemporary world and drama teacher Cassandra Bauco. See this fantastic video. EMSB CARETAKER SHINES: A poster designed by Meghan Dove, an evening caretaker at the EMSB Administration Building, was one of 15 chosen by the Société des designers graphiques du Québec to be on display at a vernissage at the McCord Museum from March 16 to April 3. This is part of a competition for design students in Quebec. The competition, which is held by the SDGQ and the Bourse Marc H. Choko, is for students who are enrolled in accredited design programs across Quebec, and helps improve the skills of aspiring designers, so that they can enter their works in future poster design competitions. The posters entered in this competition must promote a certain social organization or cause. Ms. Dove’s poster, which portrays a collection of paint brushes that are stored in a prescription pill bottle, promotes the organization Les Impatients, which focuses on mental health and artistic expression. 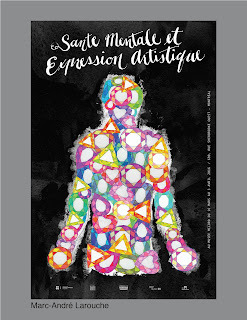 The posters that are entered in the competition are judged by a jury made up of SDGQ members, as well as members of the sponsoring organizations, which include the McCord Museum, Publicité Sauvage, and the Bibliothèque et Archives nationales du Québec. The posters chosen to be on display are based on the criteria of the clarity of the message in the poster, the novelty of the idea, the quality of the image, the quality of the typography, the integration of the image and the text and the general quality of the composition. The three finalists will receive a grant from Mr. Choko. Of the 30 posters that were chosen to be part of the vernissage, five of them came from students at Dawson College, where Ms. Dove also attends. the press release. See this press release. MISS TEEN QUEBEC VISITS NESBITT SCHOOL: To celebrate Nutrition Month at Nesbitt Elementary School, former Laurier Macdonald High School student Pamela Pagano was a special guest. She was Miss Teen Quebec in 2014. Along with Spiritual and Community Animator Vince Lacroce, she collaborated on an interactive workshop with students in Cycle 2, which highlighted nutrition, bullying, and self-esteem. On March 11, the students from Cycle 2 received healthy fruit inspired shakes prepared by parent volunteers.The workshop included testimonials from both Ms. Pagano and Mr. Lacroce about being bullied and included techniques to help promote a healthy lifestyle and proper diet. The program will culminate in May by offering the students of Nesbitt both Yoga classes from a professional instructor and Zumba Classes offered by Ms. Pagano, a qualified Zumba instructor currently working at The Leonardo Da Vinci Centre. Kyries Hebert at Rosemount High. THE CYCLING TEACHER: Bicycling fever has taken over Royal Vale School in N.D.G. as Grade 6 teacher Gonzague Le Roux de Bretagne is set to ride his bicycle from Bogota, Columbia to northern Chile, a journey of more than 6,000 kilometers. 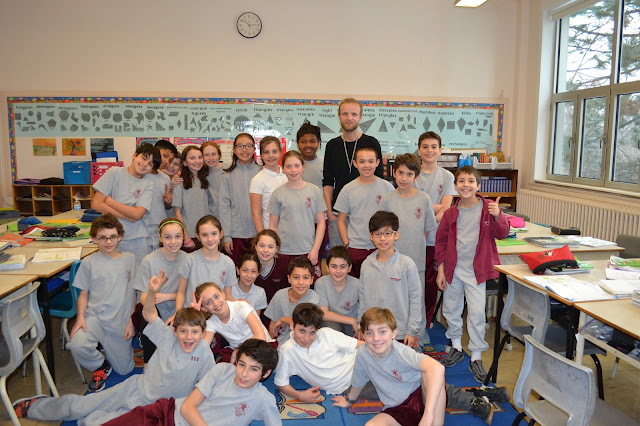 Before Gonzague headed south, students from Grades 4 to 7 heard about his incredible adventure on March 21. Joining him on stage were representatives from Cyclo Nord-Sud, a Montreal-based organization that repurposes bicycles from North America and donates them to communities in South America and Africa. Gonzague is also using his adventure to raise awareness and funds for Cyclo Nord-Sud. Throughout the trek, Gonzague will be communicating with his students through social media. His students will be able to follow his progress real-time via GPS. Through his blog, Facebook page and Twitter account, they will be able to correspond with him as well as learn about local culture and history. Students are also expected to Skype with Gonzague in mid-May. The journey, which will take a total of four months and pass through Columbia, Peru, Bolivia and Chile, was one that Gonzague has thought about for some time. An avid bicycler and traveler, the journey has long been a personal goal of his, one that he believes will put him to the ultimate physical and mental test. As a result of Gonzague’s ride, Royal Vale School will be holding a Bike for Fun Day on June 22. Students and families will be encouraged to ride their bicycles to school as well as the event will also serve as an opportunity to collect bicycles for Cyclo Nord-Sud. See our video with him. Devon Packer in New Brunswick. 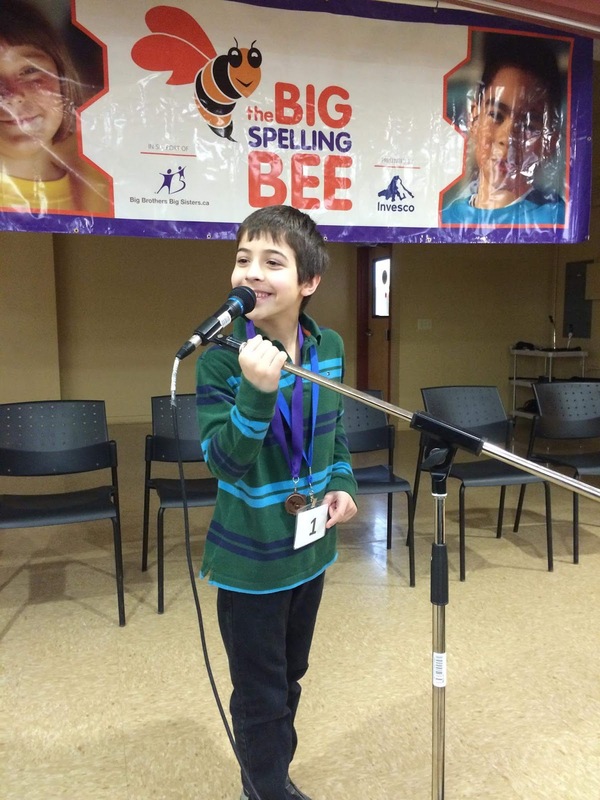 SPELLING BEE: Royal Vale School conducted a spelling bee recently, being the only school in the province of Quebec which participated. 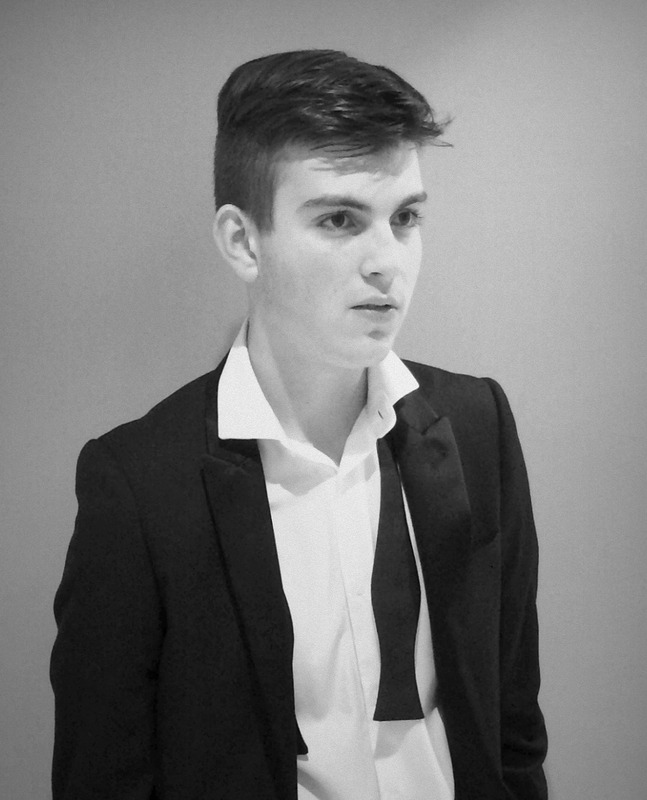 Devon Packer, who already made headlines as young musician performing at Carnegie Hall recently, qualified for the regionals in Fredericton, New Brunswick where he came in third place. 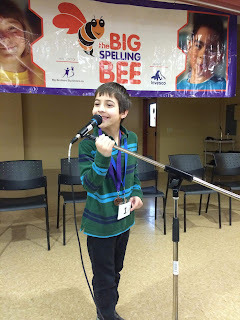 Bravo to Devon and his teacher Wendy Cryer Frank! Here is a link to that event. CARLYLE’S IB-PYP EXHIBITION 2016: Carlyle Elementary School in TMR hosted its first annual IB-PYP Exhibition on February 25. The Grade 6 students worked diligently in preparation for this event. This is a significant event in the life of a PYP student and a school. It is a student-centered project and a culmination of all the essential elements of the IB-PYP program. This year’s central idea was developed under the transdisciplinary theme: How the World Works, entitled: Generation Technology. The students created the central idea, “Technological advancements have shaped society.” In group they chose the following five topics to research: Capitalism, Social Media, Entertainment, Education, Robotics, Design, Security and Health. The Carlyle family congratulates all the students for their dedication and all their hard work. A special thank you to the EMSB; especially the Educational & Technology Services for their ongoing support and professional development. BT's Catherine Verdon Diamond and students. BREAKFAST TELEVISION: KIDS & LEADERSHIP: On February 18, Grade6 student and Carlyle leader Sofia Buggé made an appearance on Montreal’s Breakfast Television Mom Talk episode entitled “Kids and Leadership.” Alongside Lisa Campanaro, Carlyle’s Behaviour Technician, Sofia discussed the importance of the school’s leadership program for Cycle 3 students. The purpose of the program is to encourage students to develop problem-solving and decision making skills while mentoring their peers. Sofia explained that being a Carlyle leader has allowed her to be a positive role model for other students and also for her younger siblings. Congratulations to all our Carlyle leaders for their dedication to the program. See the video. SPECIAL PROJECT IN TMR: Carlyle has been participating in a special project initiated by Town of Mount Royal Mayor Phillipe Roy, who has once again formed a School Town Council consisting of one representative from every Grade 6 class at Carlyle, Dunrae Gardens and Saint-Clément schools. 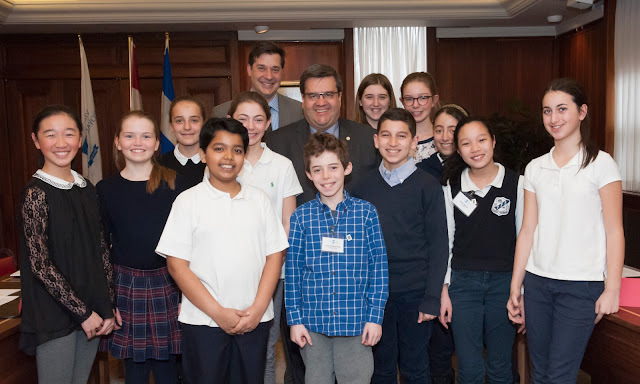 TMR Mayor Phillipe Roy and Montreal Mayor Denis Coderre with students. All together, these elected school councillors are part of the Town School Council and are working on a community-oriented project from beginning to end. 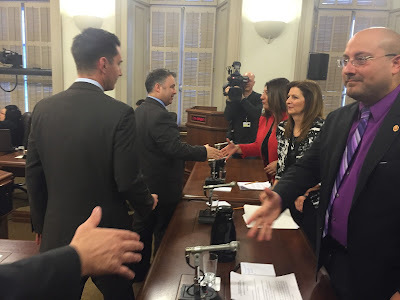 Students recentl attended the Town Council meeting. BATTLE OF THE BOOKS: The EMSB’s Education and Technology Services is planning its inaugural “Battle of the Books” competition. This special event will be held in the EMSB Administration Building’s Laurence Patterson Room on the evening of Monday, April 11 at 7 pm. A team of students from LaurenHill Academy will face-off against a team of students from Vincent Massey Collegiate, in a match that will test the teams’ detailed knowledge of 10 young adult books which the students have previously read. The winning team will go on to represent the EMSB in an Ultimate Battle on the evening of Wednesday, April 20 in the Saputo Auditorium of Lower Canada College, competing for city-wide title against the winning teams from the Lester B Pearson School Board and the Quebec Association of Independent Day Schools. The Battle is a fun and engaging way for students and their families to get excited about reading while also building confidence and team work skills. 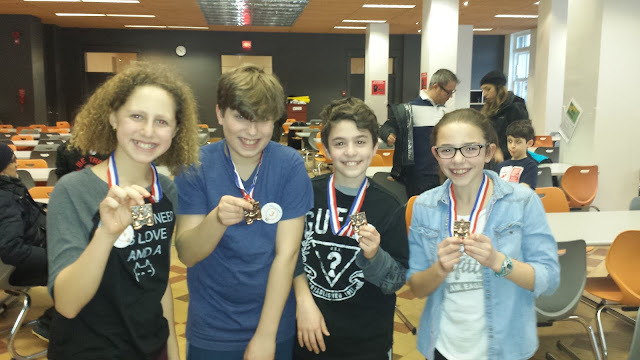 Held at the LBPSB since 2013, “Battle of the Books” has steadily grown each year to include an increasing number of schools from across the city. This will be the first year that the EMSB will hold its own elimination game at the Board level to determine a finalist for the Ultimate Battle. This will be a public event. 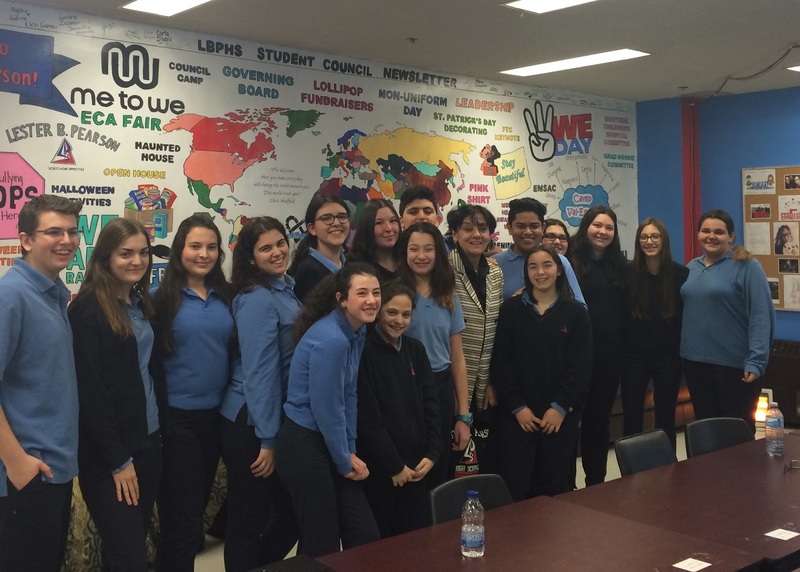 FRENCH FOR THE FUTURE: Westmount High School will be the site for the 2016 French for the Future Montreal Local Forum on Friday, April 22 (9 a.m.), which is also Earth Day. Aimed at promoting bilingualism amongst Canadian youth, the theme is Respect, Culture and Integration into Québécoise Society. Approximately 550 students from 13 Montreal high schools and four school boards will be present.Charismatic Montreal comedian Dorothy Rhau will serve as master of ceremonies. Québécoise rapper and street artist, MONK. E will inspire the youth with his story and powerful trilingual lyrics. This will be followed by some open microphone time for the participating students to rap in French! Other activities will include an interactive quiz on Canadian and Quebec culture, a francophone youth hip hop dance group, a karaoke contest and a much anticipated interactive finale starring the always entertaining Ligue D’improvisation Montréalaise. The event will conclude with some exciting prizes presented by local sponsors the wide variety of programs allowing students to be immersed in the French language over the course of an entire day will undoubtedly allow them to feel proud of being bilingual, but it will strengthen their connection to the Québécoise culture that surrounds them on a daily basis. For more details, log on to www.french-future.org. Carol Jazzar and Claudia De Luca on site. 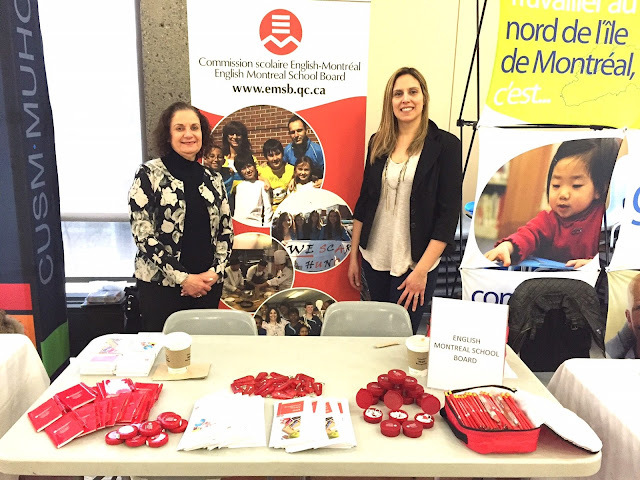 McGILL FAIR: EMSB Occupational Therapist Claudia De Luca and Speech-Language Pathologist Carol Jazzar attended the McGill Career Fair for Physical Therapy, Occupational Therapy and Speech Language Pathology Students. The objective of this Career Fair is to provide a forum where future employers and future employees can network and explore job opportunities. The EMSB reps were invited to have a booth to promote occupational therapy and speech-language pathology careers in education specifically at the EMSB. Many students from both disciplines stopped by the booth to inquire about the role of OTs and SLPs at the EMSB. The interest the students showed in working in educational settings was very promising! ANNUAL REPORT: The 2014-2015 EMSB Annual Report is available for viewing online. The English version is here. For the French version click here. Here is a report from Global TV. 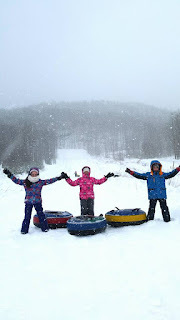 TUBING EXPERIENCE: The International Students Department recently organized several tubing trips. Students from four elementary schools - Hampstead, St. Monica, Elizabeth Ballantyne and Westmount Park- had a fun day tubing at Haut Bois Normand in Eastman. High School international students from Marymount Academy International, John F. Kennedy, Westmount and Rosemount visited Mont Rigaud on different occasions to ski and snowboard. For some of our students it was their first time ever practicing these winter sports! They had a blast! The next field trip being planned for our international students will be a Sugar Shack Day, so stay tuned. Follow them on Facebook and Twitter. CHESS AT GENERAL VANIER: Four intrepid Grade 6 students from General Vanier Elementary School in St. Léonard recently took home the bronze medal at the Chess `N Math Tournament, held at College Jean de Brebeuf. The team, composed of students Lizzy Tillona, Stefano Cofini, Luca Abruzzese and Anita Barbiero, as well as their instructor, Nicolas Métivier, compete at a number of events throughout the year. Chess is quickly becoming one of the more popular activities at General Vanier. The game is embedded in the math program as well as offered as an extra-curricular activity. GENERAL VANIER GOES GREEN: The B.A.S.E. Daycare of General Vanier Elementary School in St. Léonard organized a St. Patrick`s Day Breakfast. Here is some footage of other activities that day from Global TV. HABS WAVE OF LOVE: The students of John F. Kennedy High School in St. Michel did a terrific video in support of the Montreal Canadiens, to the tune of the audio of rapper Annakin Slayd’s very popular song. It is part of the #Wavesoflove campaign started by Galileo Adult Education Centre. Here is the video. And here is a report on Global TV. JUNIOR ROBOTICS: The Educational Alliance for Science and Technology (E.A.S.T) has announced that registration is now open for the 14th annual Junior Robotics Competition. This year’s event will take place at Vanier College in Saint Laurent on Friday and Saturday, April 29 and 30. In this event, students are asked to build and program robots (Lego) to meet a specific challenge designed for the competition. During the two-day action packed event, student teams compete with each other in an exciting and motivating environment where they learn programming and team building skills in a fun camaraderie atmosphere. “You get to explore the whole range of engineering disciplines with robotics,” said Steven Dahdah, a former participant from Royal West Academy and now an engineering student at McGill. “Robotics for kids is one of the best gateways into engineering, science and technology.” Registration information, the schedules and rules of the games are accessible at www.sciencetech.ca under 14th Robo-JUNIOR (MORE), so schools can sign up. Nijad Dahdah is the Junior Robotics Coordinator. Click here for more details. DAVID MARINO PERFORMS: Vincent Massey Collegiate graduate David Marino will be See the flyer. holding a concert in collaboration with the Jewish General Hospital on April 7 at the Leonardo Da Vinci Centre in St. Léonard. This concert will raise funds for the mental health program Mindstrong at the hospital. “Mental health is an extremely important cause, and it is important that we raise funds and spread awareness about it,” says David. “We need to stop the silence amongst those struggling with their mental health. I am hoping for a sold out show to maximize the profits going to the hospital. Tickets can be purchased on line on the sites on the flyer and here: https://jghfoundation.akaraisin.com/stopthesilence. PHOTOS: New photos of the EMSB Board and School Administrators are now on the ePortal. The photos are filed by alphabetical order as well as by school for ease of use. Please click here for a direct link to the Communications ePortal site. If you are an administrator (Principal, Vice-Principal, Manager, Director, Assistant-Director, Officer) and do not have your photo on the portal, please attach a recent photo of you to an e-mail with your full name, title and place of work and I will add you to the directory. Please note that the administrator photos on the OLD INTRANET is no longer up-to-date and should not be used anymore. AUTHOR AVAILABLE TO SPEAK: Dr. Sima Goel is the author of the mémoire, fleeing the Hijab: a Jewish Woman’s Escape from Iran, published in March 2014. Her book has been described as inspiring and riveting and she has a valuable lesson to share with students. As the beginning of the new school year is upon us, she is inviting high school teachers who wish to teach their students the importance of freedom of expression, resilience, compassion and empathy from a firsthand source. “Mine is a true story - my quest to live a life with freedom of choice—from matters of dress, to education, to political and religious expression –things I dreamed of while a young girl under house arrest in Shiraz,” said Dr. Goel. “I was challenged to keep my creative soul alive while living under great repression, and I learned what it means to counter despair with the power of the human heart. As a teenager, I faced great dangers after I spontaneously defended a Baha’i classmate, an action that eventually led to my flight across the desert. My mémoire is a testament to the human need for freedom of expression and to the power of forgiveness and empathy. In every way, this book is a love story to the free world and will remind the reader of this country’s greatest strength: the right to be the person you were born to be. I do believe that I have an exceptional and unique story to share. I would very much welcome the opportunity to speak with your students. I have already shared my story through a number of different platforms and I have seen people of all ages respond enthusiastically to my message. KIDS HELP PHONE: Kids Help Phone/Jeunesse, J’écoute has launched a new service for young men aged 14 to 18; a segment that is 31 per cent less likely to discuss mental and emotional health issues than girls, and 36 per cent less likely to talk about suicide and suicide related issues and yet death by suicide among males is four times higher. Kids Help Phone/Jeunesse, J’écoute recognized the need to create a resource to address the unique needs of teen guys and through a youth Advisory Committee and various focus groups conceived BroTalk/Coin des Gars. With funding from the Movember Foundation, a dedicated online support zone and referral service for teen guys aged 14 to 18 is now available. Designed with young men in mind, the new service aims to improve help seeking behaviour in young men through supports like Live Chat, online resources and interactive tools. Log on to http://brotalk.ca and http://coindesgars.ca. Schools are encouraged to call Suzanne Gautier-Duff at 514-948-8355 Suzanne Gautier-Duff or email Suzanne.Gautier-Duff@jeunessejecoute.ca. The senior category, comprised of 11 to 17 year olds, will once again be split into four teams and receive a total of 24 hours of coaching before they compete against each other live on stage for the chance to win Musical Show Off. In addition to these four outstanding teams, there will be a group of “Rising Star Juniors,” aged eight to 10 years old who will perform on the big stage as well. Rehearsals begin on Sunday, May 8 2016. To celebrate this sixth season, Lloyd-Hughes and Rotella have decided to hold an event called “Talent Spot” where all young talent will be able to taste the experience of Musical Show Off. An evening filled with networking and collaboration between young artists and professionals. EMSB TV: The EMSB posts links to television and radio reports, as well as videos produced in-house on our website. EMSB TV is hosted by Vimeo and we have sections for EMSB TV Coverage, EMSB Videos and others. CENTAUR THEATRE OF TOMORROW PROGRAM: Centaur Theatre Company announces its Luminous Theatre of Tomorrow (TOT) Program for the 2015-2016 Season. The TOT program makes live English theatre accessible to High School students at a discounted price. Tickets remain at $16 for another year thanks to our sponsors. Program benefits include a teacher’s guide providing background information, discussion topics and improvisation activities; and talkback sessions following the performances where students meet the cast, voice their comments and ask questions. For schedule and teacher’s guide, go to http://www.centaurtheatre.com/schools.html. For Bookings and inquiries email groups@centaurtheatre.com or call 514-288-1229 x245. SHAKESPEARE SELFIE: The web page for the 2016 CBC "Shakespeare Selfie" writing challenge for students grades 7-9 and 10-12 is live on CBC Books. The writing challenge will take place in April 2016. Here's the link:http://www.cbc.ca/books/2015/10/the-2016-shakespeare-selfie-writing-challenge-for-students.html This page is your destination for everything about the challenge. As we get more details, this page will be updated. The 2016 Shakespeare Selfie is a great way to incorporate current affairs, creative writing and - of course - Shakespeare into the classroom. Info: jennifer.warren@cbc.ca. BOUNCE FOR MS: BBYO and the YM-YWHA are inviting all Jewish teens between the ages of 13 and 18 for an evening of trampoline fun to benefit the Multiple-Sclerosis Society called “Bounce for MS” on Sunday, April 17 from 7 p.m. to 9 p.m. at Skytag, located at 77 Brunswick Boulevard in DDO. Held in conjunction with NCSY, Congregation Shaare Zion and Maccabi Canada, the community fundraiser will also include an information fair, a fun photo booth, refreshments and plenty of games with lots of prizes to be won. Tickets are $10 in advance and $18 at the door. For more information, or to register, contact Kira Blumer at kblumer@bbyo.org. 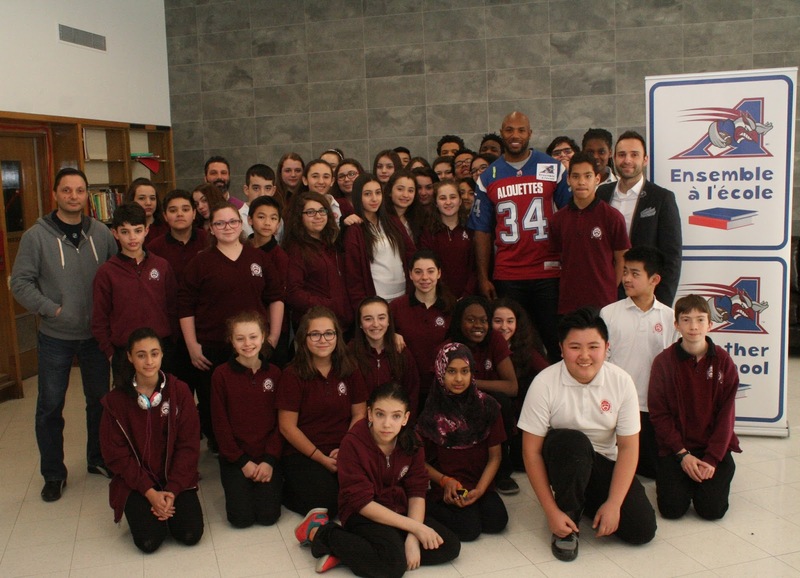 ALOUETTES VISIT: Two outstanding Alouettes football players, Kyries Hebert and Tyrell Sutton, visited Galileo Adult Education Centre in Montreal North recently. Both students and faculty were inspired by the motivational speeches combined with their passion for football. Speaking of perseverance, goal setting and emphasize on no such thing as failure – setting strategies in the context of the difficulties that they each had experienced in their journey to achieve athletic and academic excellence, resonated a million fold with all students. They each shared personal stories about navigating around and overcoming difficulty by embracing each challenge with Tyrell’s philosophy of “doing well with what you have or it will do you no good.” Moreover, their message of lifelong learning and hard work struck a chord in the hearts of all the young adult learners working smart on attaining their credits for CEGEP or Technical Vocational training by developing their own solid work ethic. They emphasized that earn was the biggest word in learn. The question and answer period, signing autographs, and taking pictures as one of the more authentic relationship building moments of the day. Before leaving Galileo, Tyrell and Kyries visited each of the classes and spoke individually with students, discussing the importance of team sportsmanship and friendships. Fun at the sugar shack. located we were invited to roll a stick over the caramelized cooled syrup and create a taffy stick of gooey sweetness. Many students were captivated by the simplicity of the process and the delicious results. All students danced off the sugar calories on an enormous dance floor with a D.J. extraordinaire and experience an authentic Quebec tradition conversing throughout the trip, immersed in this tasty yet active cultural activity. HEALTHY NUTRITION: As part of this year’s theme Healthy Nutrition and Lifestyle at Galileo Adult Centre and in an effort to stay healthy and fit by continuously upgrading and adding unique fitness activities to our learning situations, the S.I.S program and CCBE Literacy students and teachers are grateful to all community contributors for assisting us in our concerted efforts this month. Galileo Adult Centre welcomed its first Zumba class, a Gumbo Boots lesson, and spinning class. Thanks to a generous donation from the Midtown Sanctuaire Sporting Club in Outremont, Galileo Adult Centre now has seven spinning bikes to add to their S.I.S. fitness program. This new program was put into effect in response to repeated requests by several Special Needs Students looking to embark on a healthier lifestyle. Special Needs teacher Louise Panet-Raymond, therapeutic recreation specialist and longtime fitness instructor, is leading up the program. To complement the Nutrition program at Galileo, two CCBE literacy teachers - Kathy Tavoosi and Jack De Vries - decided to bring forth a high energy idea to their students. Galileo hosted its first Zumba evening class to its CCBE literacy students as part of an ongoing effort to increase creative opportunities for enhancing students’ experience in comprehension and acquiring second language skills. Through using a Brain - Based approach to learning that promotes memory by increasing social connectedness via choreographed physical fitness activities, 57 students of diverse international backgrounds participated in the instructor –led Zumba night. Lisa Germile and her students had the pleasure of welcoming Raymond Homier, parent of S.I.S. student Véronique Homier. This is a welcome complement to the healthy nutrition program, already in place, devised by Ms. Germile. Mr. Homier is a retired music teacher, as well as a Gumboots dancing instructor. Students welcomed him in the gym, where Mr. Homier passionately taught a brief history on the origin of Gumboots. In awe, the students listened to him and eagerly joined in dancing with Mr. Homier’s specially choreographed routine. Later on, Mr. Homier surprised everyone with a song that he composed about Galileo. He gained insight and inspiration for his song throughout the year by routinely asking his daughter, Veronique, about her day and what she enjoyed most at Galileo. He shared with us her tremendous success since arriving at Galileo in 2015. City`s Breakfast TV recently stopped by and filed these reports. PIUS THANKS ITS TEACHERS: During Teacher Appreciation Week recently, the administration of St. Pius X Career Centre provided breakfast, lunch and wonderful snacks. They culminated a great week with a presentation from the students in both the business and culinary sectors. Students showed their appreciation by creating a PowerPoint presentation on how they felt about their teachers and what made them unique. The students thanked their teachers and reminded them how powerful they are. PEOPLE POTATO: Adult students from three CCBE (Common Core Basic Education) Literacy classes at John F. Kennedy Adult Centre and St. Laurent Adult Centre joined forces in February volunteer at the People’s Potato, a community kitchen and food bank in downtown Montreal. The students got a rare opportunity to meet their peers from another EMSB centre, as well as to practice their English skills outside of class with each other and the staff. While touring the facilities, students learned about the philosophy of the People’s Potato on inclusive food accessibility, as well as its remarkable style of collective management. The students were rewarded for their hard work chopping vegetables and washing dishes with a dinner feast and good conversation! UTILIZING THEATRE: St. Laurent Adult Education Centre Principal Marysa Barassi's Literacy Program is not only a four skill approach in learning English, it extends to utilizing theatre to motivate and enhance language skills. Lina Maiorano, a CCBE teacher with a Bachelor of Education and a Bachelor of Performing Arts, is relentless when guiding her students in a step by step theatre technique training. She prepares her students in improvisations that eventually leads them to writing their own scripts and a live performance.Each student is given a role and has the responsibility of being each others understudy.The students recently performed a show consisting of five life situations that brought the audience to laughter and moments of reflection. Ms. Maiorano will continue to commit herself in teaching with this approach of using her knowledge of theatre as a tool for teaching English. Info: lmaiorano@emsb.qc.ca. PROJET DE LOI 86 : La CSEM a présenté son mémoire sur le projet de loi 86 : Une Loi modifiant l’organisation et la gouvernance des commissions scolaires le 22 mars aux audiences publiques à Québec. Si cette loi est adoptée, elle restructurera les commissions scolaires de la province en limitant le droit du public de voter pour des commissaires scolaire. La CSEM est fortement opposée au projet de loi. La présidente, Angela Mancini, la vice-présidente, Sylvia Lo Bianco, et le commissaire, Joe Ortona ont présenté officiellement le mémoire. Ils ont demandé au gouvernement de retirer le projet de loi 86 et de consulter tous les intervenants du secteur de l’éducation publique afin d’élaborer une solution démocratique et juridiquement solide pour encourager une plus grande participation de la communauté à la gestion du réseau d’éducation du Québec. Mme Mancini souligne que la CSEM est extrêmement inquiète par le fait qu’un palier de gouvernement démocratiquement élu tente d’en abolir un autre. « Cette situation est simplement inacceptable. La fin des mandats des commissaires existants, 15 jours après l’adoption du projet de loi 86, ne semble pas seulement impraticable à mettre en œuvre, mais plus important viole la doctrine légale bien établie de préclusion promissoire qui indique que les commissaires existants peuvent s’attendre raisonnablement à remplir les mandats de quatre ans pour lesquels ils ont été élus en novembre 2014. La CSEM recommande que les commissions scolaires élues démocratiquement soient maintenues afin de sauvegarder les droits constitutionnels de la minorité anglophone de gérer et de contrôler ses écoles. Les commissaires représentants de parents devraient être légalement investis de tous les droits, responsabilités et fonctions des commissaires élus au suffrage universel, y compris le droit de vote. En outre, la CSEM recommande que les élections scolaires puissent se faire par bulletins électroniques et par courrier, en sus des bureaux de vote, afin de faciliter la participation des électeurs au processus démocratique. Ces élections devraient être tenues en même temps que les élections municipales afin de faciliter le potentiel des électeurs d’exercer leurs droits constitutionnels. La délégation de la CSEM à l’Assemblée nationale a été appuyée par des élèves et des parents, ainsi que par quelques membres du conseil des commissaires. EXPÉRIENCE VÉCUE DE CORONATION: Un groupe de 16 élèves chanceux de 5e année de l’école primaire Coronation de Côte-des-Neiges, en compagnie des enseignants Brigitte Boulos et Peter Tsinas, ont eu l’occasion d’assister à un entraînement des Canadiens le vendredi 11 mars au Complexe sportif Bell de Brossard. Ceci était dans le cadre du programme Canadiens@school. GYMNASE DE VINCENT MASSEY: La CSEM a célébré, le 18 mars, l’inauguration tant attendue d’un nouveau double gymnase et de quatre nouvelles salles de classe au Collège Vincent Massey de Rosemont. Des centaines d’élèves du primaire étaient présents pour une journée spéciale de soccer. Au printemps de 2012, le ministère de l’Éducation du Québec avait annoncé un financement au montant de 4,3 millions $ pour Vincent Massey. La présidente de la CSEM, Angela Mancini, et la vice-présidente, Sylvia Lo Bianco ont travaillé assidûment à ce dossier pendant plus d’un an. Vincent Massey est une école à statut particulier (Article 240) avec un programme enrichi et structuré de préparation au CÉGEP. Son effectif scolaire est de 814 élèves logés dans un bâtiment qui avait été conçu pour 725 lorsqu’il avait été construit en 1959. Sa capacité est maintenant de 834 élèves. Un grand nombre d’invités spéciaux étaient présents pour participer à une épreuve de tirs au but avec des ballons de soccer offerts par Evangelista Sports. Nous avons tenons à remercier le Groupe Sportscene, les propriétaires de La Cage Brasserie Sportive, P.F. Chang ainsi qu’Interbox. Des boxeurs professionnels ont faitent partie des invités. Yves Junior Ulysse et Dierry Jean de ‘Eye of the Tiger Management’. Ulysse a une fiche de 6-0 avec quatre mises hors de combat. Il est originaire de Saint-Michel et veut travailler avec les jeunes de la communauté. Jean (29-2 avec 20 mises hors de combat) a été le champion des super-légers de la North American Boxing Federation et de la North American Boxing Association (NABA). Il a affronté Terence Crawford en octobre dernier au championnat de la World Boxing Organization (WBO) et a œuvré comme travailleur social à Saint-Michel. Mme Mancini a estimé que la partie spéciale de soccer représentait une excellente toile de fond pour mettre en vedette le nouveau gymnase. Cette compétition a été organisée par la Greater Montreal Athletic Association (http://gmaa.ca/) avec l’objectif d’introduire les jeunes au concept de compétition sportive étant donné qu’un grand nombre d’élèves n’ont pas cette expérience. Le franc jeu et la participation maximum parmi les élèves de tous les niveaux d’habileté sont encouragés. Afin de l’accomplir, les écoles sont encouragées à diviser les élèves en équipes de force égale, une structure de tournois toute ronde est utilisée et aucun point n’est pris durant les parties. C’est la première fois que la GMAA organise une journée de soccer d’intérieur au primaire et elle est ouverte aux élèves de 6e année seulement. Les garçons et les filles participeront séparément. Cet évènement est ouvert aux écoles primaires de la CSEM, de la Commission scolaire Lester-B.-Pearson et aux écoles privées. UN CONCIERGE DE LA CSEM SE DISTINGUE: Une affiche conçue par Meghan Dove, concierge de nuit du centre administratif de la CSEM, a été l’une des 15 choisies par la Société des designers graphiques du Québec, pour figurer à une exposition qui aura lieu au musée McCord du 16 mars au 3 avril, dans le cadre d’un concours pour élèves du design au Québec. 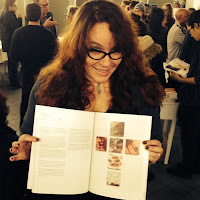 Le concours qui est organisé par la SDGQ et la bourse Marc H. Choko, est à l’intention des élèves inscrits à des programmes de design accrédités au Québec et aide à améliorer les habiletés des aspirants designers. Les affiches inscrites au concours doivent promouvoir une certaine organisation sociale ou une cause. L’affiche de Mme Dove qui dépeint une collection de pinceaux de peinture placés dans une bouteille de pilules d’ordonnance, fait la promotion de l’organisation Les Impatients (http://impatients.ca) axée sur la santé mentale et l’expression artistique. Les affiches inscrites au concours sont jugées par un jury composé de membres de la SDGQ ainsi que des membres d’organisations commanditaires incluant le Musée McCord, Publicité Sauvage et la Bibliothèque et Archives nationales du Québec. Les critères de sélection des affiches exposées sont la clarté du message de l’affiche, la nouveauté de l’idée, la qualité de l’image, la qualité de la topographie, l’intégration de l’image et du texte et la qualité générale de la composition. Les trois finalistes recevront une subvention de M. Choko. Sur les 30 affiches sélectionnées, cinq d’entre elles étaient l’œuvre d’élèves du Collège Dawson que Mme Dove fréquente aussi. « Pour une Ontarienne qui a appris la plupart de son français après avoir déménagé à Montréal il y a de cela huit ans, j’apprécie le fait que plusieurs élèves d’un collège anglophone ont réussi à un concours principalement francophone » déclare Mme Dove qui a récemment conçu la publication de la Foire de carrières de la CSEM. « Le fait qu’un groupe d’élèves de l’un des quelques CÉGEPs anglophones a très bien réussi à ce concours souligne les occasions qui existent ici. En tant qu’employée de la Commission scolaire English-Montréal, cela renforce l‘importance de l’enseignement en anglais ». Pour plus d’informations au sujet du concours de conception d’affiches, visitez le site Web de la SDGQ à www.sdgq.ca. L’ENSEIGNANT CYCLISTE : La fièvre du cyclisme a envahi l’école Royal Vale de NDG alors que l’enseignant de 6e année Gonzague Le Roux de Bretagne se prépare à enfourcher sa bicyclette et à rouler de Bogota en Colombie jusqu’au nord du Chili, un périple de plus de 6000 kilomètres. Avant que Gonzague parte vers le sud, des élèves de la 4e à la 7e année ont été mis au courant de cette incroyable aventure le 21 mars. Des représentants de Cyclo Nord-Sud, un organisme de Montréal-Nord qui remet en état des bicyclettes d’Amérique du Nord et les donnent à des communautés d’Amérique du Sud et d’Afrique étaient présents sur scène avec Gonzague qui utilise son aventure pour soulever la sensibilisation et lever des fonds pour Cyclo Nord-Sud. Tout au long de son voyage, Gonzague communiquera avec ses élèves par le biais des médias sociaux. Ses élèves pourront le suivre via GPS, son blog, sa page Facebook et son compte Twitter et ils pourront correspondre avec lui et apprendre aussi la culture et l’histoire locale. Les élèves devraient communiquer avec lui via Skype vers la mi-mai. RENCONTRES DU CANADA : Chaque année, Rencontres du Canada – le forum jeunesse du pays – accueille des élèves de la CSEM âgés de 14 à 17 ans. Ces élèves se joignent à des adolescents d’à travers le pays au Centre de la jeunesse Terry Fox à Ottawa pour une semaine inoubliable d’ateliers bilingues, de sorties et d’évènements culturels. Ils apprennent à connaître les institutions canadiennes, rencontre des canadiens talentueux, explore des options intéressantes de carrières et développent leurs habiletés de leadership civique. Ils font l’expérience de la diversité de l’héritage et de la culture du Canada, et explorent leur propre potentiel. Plus de 100 000 élèves ont déjà vécu cette expérience! Rencontres du Canada offre un choix de 13 différents thèmes d’une semaine chacun : arts et culture, le Canada se souvient, Démocratie et jeunesse, Expérience Canada, Premiers répondants, Relations internationales, Journalisme et communications, Loi et notre système de justice, Médecine et santé, Sciences et écologie, Sciences et technologie, Sports et forme physique et Vimy : le passage pour l’autonomie du Canada. JEUNESSE, J’ÉCOUTE : Jeunesse, J’écoute a lancé un nouveau service pour les jeunes gens âgés de 14 à 18 ans; un segment qui est de 31 pour cent moins porté à discuter de questions de santé mentale et émotive que les filles et 36 pour cent moins porté à parler du suicide et de questions reliées au suicide et, pourtant, le taux de suicide parmi les mâles est quatre fois plus élevé. Jeunesse, J’écoute a reconnu le besoin de créer une ressource pour aborder les besoins uniques des adolescents et, par le biais d’un comité consultatif et de divers groupes de travail, a conçu le Coin des Gars. Avec le financement de la Fondation Movember, une zone en ligne d’aide de soutien et de service d’étude de cas pour les adolescents âgés de 14 à 18 ans est maintenant disponible. Conçu pour les jeunes hommes, le nouveau service vise à améliorer le comportement de recherche d’aide chez les jeunes hommes par le biais de soutien tel que Live Chat, outils de ressources en ligne et interactives : http://brotalk.ca et http://coindesgars.ca. Les écoles sont encouragées à appeler Suzanne Gautier-Duff au 514-948-8355, ou par courriel Suzanne.Gautier-Duff@jeunessejecoute.ca. GRAND NETTOYAGE : Année après année, les montréalais de tous âges sont invités à participer au Grand Nettoyage. Ce programme aide à embellir les endroits publics ou privés, les parcs, les allées, les terrains de sport et les cours d’école. Il implique la communauté à un projet éco-responsable. Les organisateurs demandent aux écoles de se mobiliser massivement et de faire participer les enfants à une sixième édition du Grand Nettoyage, La ville peut fournir des sacs de poubelle et de recyclage, des pelles, des râteaux et des balais. Elle peut aussi fournir des t-shirts pour des tirages au niveau de l’école. Cette activité est une occasion de faire preuve de leadership communautaire et d’enseigner aux enfants l’utilité des conteneurs de déchets et de recyclage. C’est une excellente façon de gérer l’environnement et de faire de nouveaux amis pour la nouvelle année scolaire. Consultez ce dépliant sur la façon d’adhérer ---- http://www.emsb.qc.ca/emsb_en/pdf_en/media_en/flyer/2015-08-17-Big%20Cleanup.pdfé. Vous devez vous inscrire au projet Grand Nettoyage au moins 72 heures à l’avance pour recevoir votre matériel, le guide d’organisateur et les instructions de sécurité. Info : Julie Millette 514-872-0588 ou julie.millette@ville.montreal.qc.ca. PROGRAMME YOUTH AMBASSADORS: La Mission des États-Unis au Canada, en partenariat avec SUNY Plattsburgh et Fulbright Canada, est très heureuse d’annoncer un programme d’échange destiné aux élèves du secondaire et du Cégep. Nous voulions partager cette nouvelle avec vous et vous encourager à soumettre la candidature de candidats qualifiés. Le programme Youth Ambassadors s’adresse aux jeunes canadiens qui auront entre 15 et 18 ans le 18 juillet 2016. Il s’adresse également aux adultes canadiens qui œuvrent auprès d’adolescents à titre d’enseignant, d’entraîneur, d’administrateur scolaire ou de leader communautaire. Du 18 juillet au 7 août 2016, les participants voyageront à Plattsburgh et New York, dans l’état de New York, ainsi qu’à Washington, D.C., afin de participer à des ateliers et autres événements interactifs dans une panoplie d’environnements publics et communautaires. Le but du programme est d’augmenter les habiletés de leadership et d’outiller les jeunes à faire une différence dans leur communauté. De plus amples renseignements sur le programme, ainsi que la marche à suivre pour soumettre une candidature, se trouvent ici : www.plattsburgh.edu/cesca/youthleadership.php Nous vous prions de noter que le site, les documents et le programme sont en anglais seulement. Il est donc nécessaire pour les candidats de maîtriser cette langue. La date limite pour soumettre une candidature est le 11 avril 2016. Nous espérons que vous partagerez cette nouvelle avec des candidats potentiels. Pour toute question, nous vous prions de communiquer avec moi directement. VISITE DES ALOUETES: Deux joueurs exceptionnels des Alouettes, Kyries Hebert et Tyrell Sutton, ont récemment visité le Centre des adultes Galileo. Les élèves et les enseignants ont été inspirés par les discours de motivation des deux athlètes et par leur passion pour le football. Parlant de persévérance, d’objectifs et des stratégies mises en place dans le contexte des difficultés qu’ils avaient éprouvées pour atteindre l’excellence académique et sportive, ils ont profondément touché tous les élèves. Ils ont partagé des histoires personnelles où ils ont surmonté les difficultés en adoptant la philosophie de Tyrell qui est « de bien faire avec ce que vous avez ». En outre, leur message d’apprentissage permanent et de travail assidu a touché le cœur des jeunes élèves qui travaillent d’arrache-pied pour obtenir leurs unités pour le CÉGEP ou la formation professionnelle. La période de questions et de réponses, la signature d’autographes et les photos ont été les moments marquants de la journée. Avant de quitter Galileo, Tyrell et Kyries ont visité chaque classe et parlé individuellement aux élèves, discutant de l’importance de l’esprit d’équipe et de l’amitié. CABANE À SUCRE: Introduire les élèves à la culture de la cabane à sucre est une tradition au Centre d’adultes Galileo. Près de 450 élèves et enseignants ont été à la Cabane à sucre Paquette de Sainte-Anne-des-Plaines. Une forme essentielle d’apprentissage de la culture est d’être activement immergé à sa tradition culinaire ainsi qu’à sa tradition linguistique. La famille Paquette nous a offert l’hospitalité ainsi qu’un choix de menu Halal et traditionnel québécois et nous avons été invités à enrouler un bâtonnet dans du sirop caramélisé refroidi, Plusieurs élèves ont été captivés par la simplicité du processus et les délicieux résultats. Les élèves ont brûlé les calories de sucre en dansant sur une énorme piste de danse. The next Focus will be published on April 28. Submissions should be made to Michael J. Cohen preferably by e-mail (mcohen@emsb.qc.ca) by April 22 at Noon.